Sai Gon Giai Phong newspaper reviewed its charity program ‘Sentimental Attachment for Truong Son Road’ in Don Duong District in the central highland province of Lam Dong on September 27. During the course of the charity program “Nghia Tinh Truong Son” or ‘Sentimental Attachment for Truong Son Road’, the SGGP Newspaper joined hands with the Da Lat branch of Vietcombank to build 50 houses worth VND30 million each for war invalids, martyrs’ families and the impoverished, besides granting 100 scholarships of VND2 million each to disadvantaged students in the highland province for a period of two years. 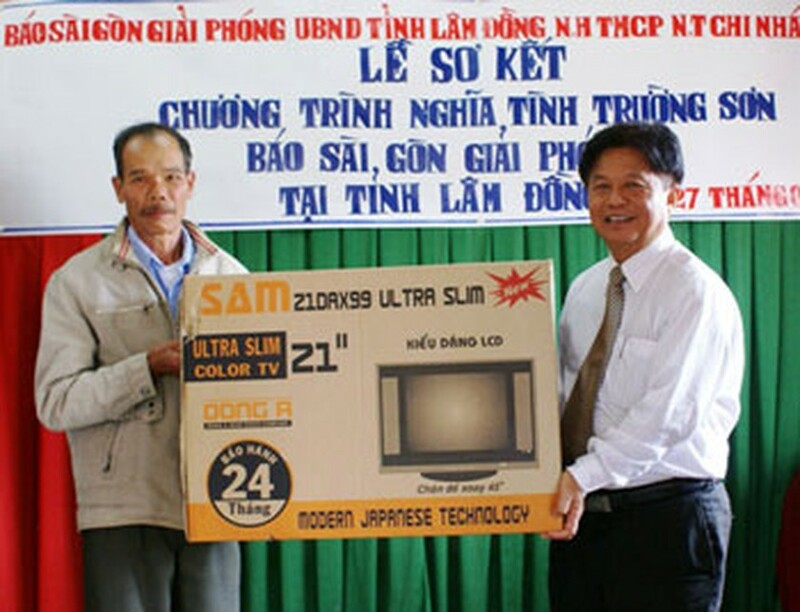 Leaders of the newspaper, the chief organizers of the charity program, also visited and offered gifts to four war invalids and veteran families in Don Duong District on the same day. The provincial government expressed appreciation for such a meaningful program which helped war heroes, war invalids, martyrs’ families, youth volunteers and the poor ethnic minorities that live along the historic Truong Son Road.